A custom, state-of-the-art hub test stand developed by Wineman Technology was recently featured in Automotive Testing Technology International, and OEM Off-Highway publications. 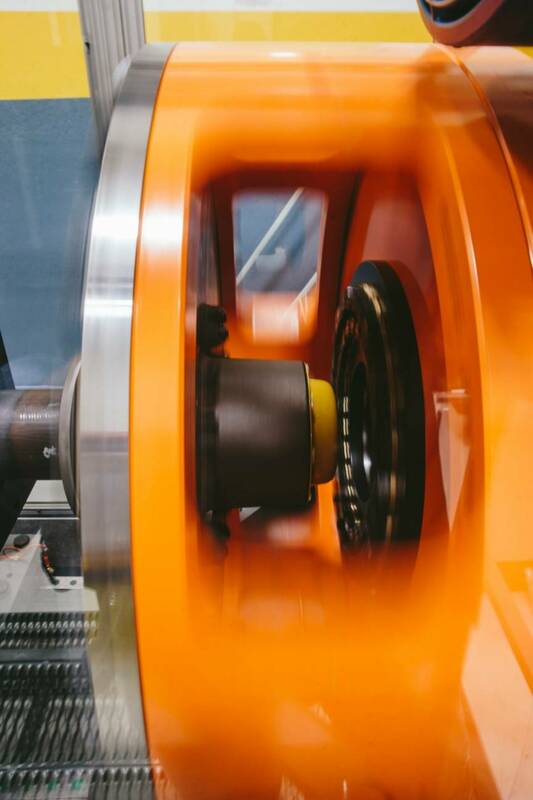 We worked with GKN Wheels & Structures – a global company that provides products and services for agriculture, construction, mining, and other off-highway industries – to increase their hub and spindle fatigue testing capabilities. The goals of the new hub test equipment were to eliminate expensive field testing, develop lighter hub castings, and speed time-to-market. Applied test loads of up to 100,000 lb. For more information, learn more about our motorized vehicle and equipment solutions or contact us today to speak with a qualified engineer.